Franchising requires designing strong, proven and replicable systems. Customers get frustrated when you order a hamburger and someone forgets to put the patty or miss key ingredients such as tomatoes or lettuce. As a franchisor, missed royalty payments or stock payments can sometimes pile up and have significant impact on your business. Some of these issues arise not because of malicious intent, but sometimes due to simple human error. When most entrepreneurs have one branch, they solve minor errors through ad hoc solutions, whether it’s having someone re-type hand written sales reports in an Excel file to double-check the totals or hiring extra people to plug in various operational issues. 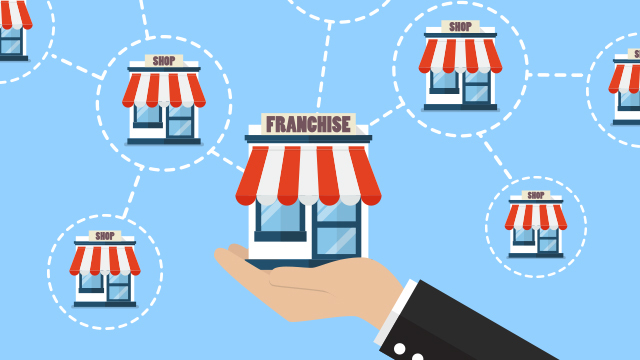 But when you start to expand through franchising, these small errors add up and create inefficiencies that impact everyone’s bottom line. And trying to fix systems when you already have 100 branches is much more difficult than when you only have a handful. A good system is one that tries to minimize or totally eliminate the possibility of human error. It is not about hiring a legion of auditors or problem solvers to check compliance or fight fires. It’s about creating a system that avoids or prevents mistakes before they happen. A good system does not let you take the next step unless you complete the first step correctly. We see this everyday as we fill in forms online. Companies mark required cells and do not allow you to submit an application without first entering certain information (usually your name, mobile and email). As an additional safety measure, they also ensure that you enter a proper email address and will automatically prompt if you fill in an invalid email. Lastly, when you’re asked to create a password, they always make you fill it in twice, just to minimize the problem of you mistyping your password. In product design, you can see this in the humble toilet stalls in malls. A mall owner had noticed that a lot of people accidentally left their bag or belongings in the toilet. Typically there is a shelf at the back to put your bags, but this is the worst design since the bag is not in view so can easily be forgotten. Some put a hook in the door so the person always sees the bag and remembers it. But this can also fail when the person turns their back and opens the door, thus missing it. The solution that a designer created was to create toilet stalls that have a table on the side, near the door. Once you fold it down it blocks that door so you can’t open the door without pushing the table up, hence totally eliminating the possibility of leaving your bag as you can’t leave without pushing the table up. Supermarkets with self check-out counters that are popular in the US and Europe use smart design to ensure customers scan the right items. Every time you scan an item, you put it in a bag that’s on a weighing scale. If the item code does not match the additional weight, then it prompts you or does not allow you to scan the next item. This avoids customers accidentally scanning the same product twice, or scanning a product once but then putting two of the same item in the bag. In franchising, these design principles are used by various brands as they scale to hundreds of stores. To avoid late payment of stock deliveries, some companies only release stocks once payments have been made and a proof of payment is shown. To prevent issues on royalty payments, most retail companies insert the royalty costs as part of the product cost thus avoiding the need to audit sales and royalties. In certain kitchens, kitchen printers are linked to cash registers to minimize errors in preparation, commissaries deliver products in premixed, pre-measured single serve packs to ensure that every store always delivers the right portions and also to help track sales of each store. Whatever your industry or whatever size your company is, thinking and investing in strong, replicable systems will help you avoid bigger issues in the future and ensure that your company can scale up quicker, faster and more efficiently.